Veterans and service members who are looking to purchase a home in 2018 will be excited to learn about all of the great VA loan benefits. This government program offers a wide array of advantageous features that could make home ownership a more likely possibility for your military family. Before you even start the process of searching for a home, you should know all of the VA loan benefits that you can expect. The largest benefit of applying for a VA loan is that buyers no longer need to scrape together their savings to cover the down payment. This payment, along with your private mortgage insurance (PMI), is waived altogether. Saving money on these two perks is significant, but those aren’t the only advantages of a VA loan. You’ll find out some of the other inherent benefits of this loan program in the sections below. We Are VA Loan Specialists, Pre Qualify for a VA Home Loan Today, Click Here. When it comes to deciding on a mortgage program, you want to ensure that you select something that offers many perks for you as a homeowner. These benefits can help eligible veterans save thousands of dollars over the duration of your loan. With the advantages of a VA loan, you can keep more money in your pocket with some of these key perks. Did you know that the VA also offers Small Business Loans for veterans? Learn more about programs available to veterans for small business loans here. This perk is one of the most heavily advertised features of a VA loan program. Lenders are able to waive the typical down payment on a home due to the backing of the federal government. In a conventional mortgage, home buyers are required to put down a twenty percent down payment to give the lender some security for the loan in the event that you would default on the payments. The security of the down payment is unnecessary because the Department of Veterans Affairs is willing to cover a portion of the loan. 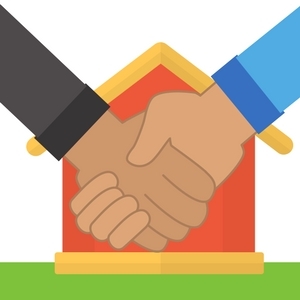 This is mutually beneficial for both you as the buyer and for the lender. The lender can have peace of mind and financial security for issuing the financing, while you can avoid the need to save up for years in order to make the necessary down payment. Consider that the cost of the average home for sale in the United States is approximately $200,000. This means that a down payment on this home would typically come to $40,000. Most homeowners don’t have that kind of money tucked away in a savings account which ultimately delays their ability to purchase a home. With the VA loan benefits, you won’t have to worry about scraping out your savings account for this upfront sum. On a conventional mortgage, homeowners who put down less than the requisite twenty percent down payment are usually forced to pay private mortgage insurance (also abbreviated as PMI). The security granted by the federal government’s backing allows lenders to drop this unnecessary fee as well. Homeowners may not truly understand how much money this can save them at a quick glance. However, you should be aware of how quickly these payments can add up over the years. The average PMI payment ranges from 0.3 percent to 1.5 percent of the principal balance on the mortgage. On the home from our previous example, this means you could be paying up to $3,000 annually on this insurance policy. Unlike other federal programs, such as the FHA mortgage, one of the main advantages of the VA loan is the ability to skip over this cost and lower your monthly expenditures. Finding the exact interest rates for a VA loan can be difficult. It should be noted that the government doesn’t actually set specific interest rates for this program. They leave up to the private lenders who ultimately issue the financing to set specific interest rates. In this situation, you may find that your interest rate is heavily influenced by your credit score, down payment amount, economic indicators, debt-to-income ratio, and more. The good news is that the interest rates are typically much lower on a VA loan than they would be on conventional products. Lenders often use high interest rates as a way to gain some security for themselves in the event that a homeowner misses payments. This is why applicants with low credit scores tend to receive higher interest rates. It’s the lender’s way of justifying the risk they will be taking on your credit profile. However, a VA loan allows the lender to rest in the security of the government’s backing and offer lower interest rates to all customers. You’ll have to check around with several lenders to ensure that you receive the best possible rate, but they are almost all guaranteed to be lower than conventional mortgage rates. Have you struggled with making payments on time in the past? Poor credit can be the result of several missed payments, high credit utilization, or a short credit history. A lower score may mean that you won’t qualify for conventional mortgages or even some of the other government programs. For example, an FHA loan requires a credit score of 580 or higher in order to pass on the most benefit. In comparison, one of the major VA loan benefits is the lower credit requirements. Because the lenders know the loan is secure due to the federal backing, they are more willing to consider buyers who have a spotty credit history. There are no minimum credit score requirements in order to be eligible for this loan program. Lenders are encouraged to take a detailed look at the entire profile before making a decision on who is eligible for a loan. Sometimes, a veteran may be financially prepared for the purchase of a home but the closing costs can really add up. Most experts will estimate that the closing costs for any home add up to equal roughly three to five percent of the home’s cost. Depending on the market value of your home, this could mean thousands of dollars are due at the time of closing. There could be another solution for homebuyers who know all of the VA loan benefits though. Because of the closing cost concessions possible with this loan program, you may be eligible to have the seller pay all closing costs. This will have to be worked into the sales contract on the property, but it could save you a ton of money. These closing cost concessions shouldn’t be confused with seller concessions. A seller can pay the full closing costs, but other seller concessions (such as covering the VA funding fee) are capped at four percent of the home’s value. There aren’t enough veterans who are currently taking advantage of the VA loan benefits, but it is something that can last a lifetime. You can actually purchase more than one home with this program, allowing you to use it over and over again. Every veteran receives a certain amount of entitlement, the money that the government is willing to guarantee on the loan. The basic entitlement is $36,000 and they will guarantee up to one-fourth of your mortgage. Depending on the cost of your home, you may still have entitlement money left over that could be used on another property. Alternatively, you may sell the home and pay off the mortgage. The entitlement could be restored, allowing you to purchase another home using the same entitlement funds all over again. This is particularly useful for allowing you to continue taking advantage of all the VA loan benefits time and time again. Some lenders hate the idea of homeowners paying off their mortgage early. By reducing their loan term even slightly, a homeowner cuts into the profit that the lender would make on the interest of the loan. Many lenders will help to minimize the impact of early payoff by instituting prepayment fees and penalties for homeowners who decide to take this financially savvy move. With a VA loan, there are no prepayment penalties allowed regardless of when you pay off the home. You can finish paying off your mortgage in one year, twenty-five years, or thirty years without paying anything additional. 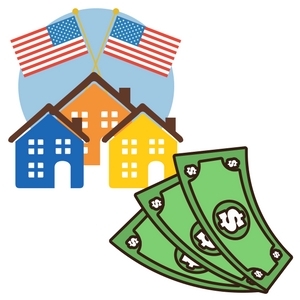 In some situations, service members may qualify for a basic allowance for housing (BAH). This is available whenever government housing isn’t available to help offset the cost of living in a particular area. Lenders are allowed to include this allowance in your income when considering what you would qualify for with a new mortgage. The specific BAH levels will be determined based on your rank, length of service, dependent statuses, and the area you live in. You may choose what portion of the BAH you spend on your living expenses and cover the difference if you choose a more expensive place to live. This can work out in your favor, allowing you to purchase a much nicer home than you otherwise could afford. Do All Veterans Qualify for a VA Loan? 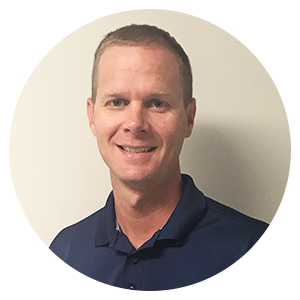 The specific criteria that allow veterans to qualify for a VA loan are relatively easy to meet. You must serve in some branch of the armed forces for a minimum period of time and receive other than dishonorable discharge. There are more specific requirements regarding the time periods during which you may have served as well. 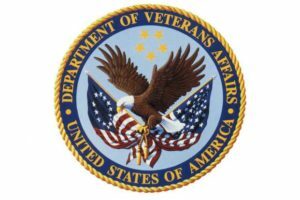 To check to see if you qualify, you can take a look at the specific requirements from the VA here. Can Spouses Qualify for a VA Loan? You must not be remarried unless you are over the age of 57 and got married after December 16, 2003. If you want to qualify for all of the advantages of a VA loan, you need to meet the service requirements listed above. These will help you to obtain your Certificate of Eligibility (COE) that allows you to receive some of the entitlement funds from the federal government. 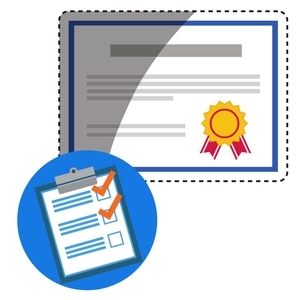 Applying for your Certificate of Eligibility can take just minutes if you fill out the required information online or weeks if you prefer to send it in by mail. From here, you will also need to select a property that meets the guidelines and minimum property standards for a VA loan. You can purchase many different types of properties with a VA loan, including single-family homes, manufactured homes, and condos in a VA-approved project. You may even be able to build a new home or purchase and upgrade a new home. No matter what property you select, they must all meet the minimum standards during the appraisal process. These regulations are put in place to ensure that a potential home is both safe and sanitary for a veteran to live in. An appraiser must inspect the property to determine if any major issues exist, such as issues with heating, electrical, sewage, or running water. You must also have a good income and a low debt-to-income ratio that demonstrates affordability for the property. The specific requirements for these items will be determined by your unique lender. Can you add closing costs to a VA loan? Closing costs may not be added to the principal balance of a VA home loan, but the funding fee could be. Homebuyers who intend to use the VA home loan to fund their purchase may be able to request that the seller cover the closing costs or receive credits from their lender toward these fees. They typically average between three and five percent of the home’s value (not including the funding fee) and must be paid upfront. For more information on closing costs, you can see the expected costs on this VA brochure here. 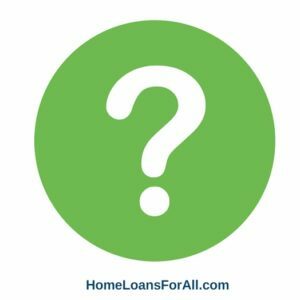 What is the interest rate on a VA home loan today? There are no set interest rates for a VA home loan. Instead, these rates are determined based on individual factors such as your credit score, income, overall debt, and other economic indicators. 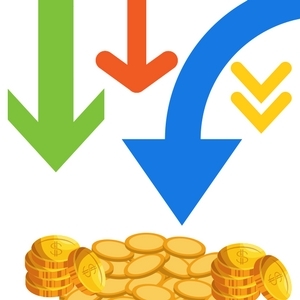 Each lender will set their own rates that may fluctuate on a daily basis. Be sure to check with your lender to see what rates you may qualify for when it comes to your VA home loan today. Can I reuse my VA home loan? Yes, you can reuse your VA home loan. You will need to pay back the entitlement you borrowed from the government before you can move forward with another VA loan. This can be done when the mortgage is finished or is paid off through the sale of the house. Some veterans may have money left over on the eligibility that would allow them to qualify to use the VA home loan again sooner. Prospective home buyers should really be aware of all the benefits that come along with the VA loan program. You could easily qualify to waive your down payment, avoid unnecessary monthly fees, and even rid yourself of your mortgage ahead of schedule with no penalty. All of the inherent benefits of this program combine to put you in a financially stable status that allows you to receive the best possible deal on a home. Keep in mind that you can use this benefit multiple times over the years. Even if you receive a PCS or just desire a change of scenery, you don’t have to sacrifice the benefits of this loan program. Be sure to talk with your lender today about whether you meet the qualifications for this program and can receive all of the benefits associated with it.